We believe that a good product support is as important as the product itself. We provide a free, top-notch support for all our products on our dedicated, modern Support Center running on a secure SSL Ticksy platform with a full Envato API integration. 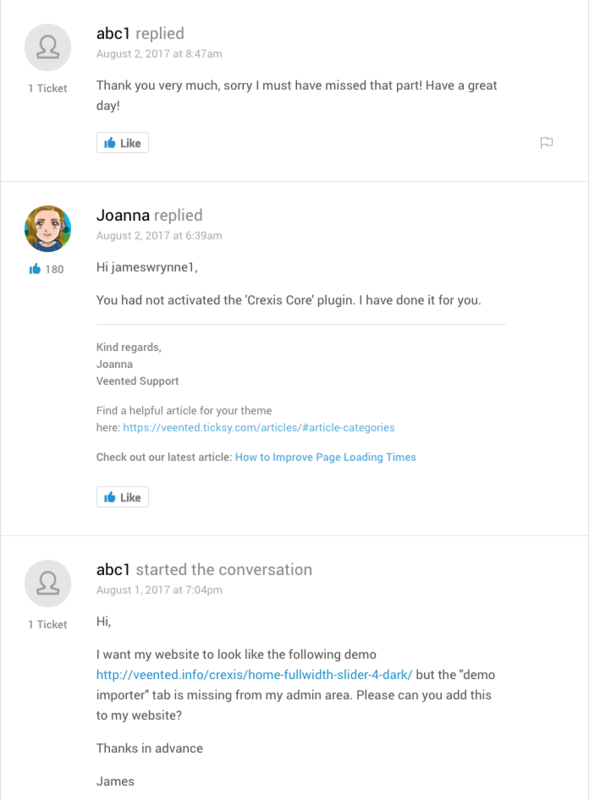 There is no need to go through a long registration process or look for the theme license code: just use your Envato account to gain access to our support platform. 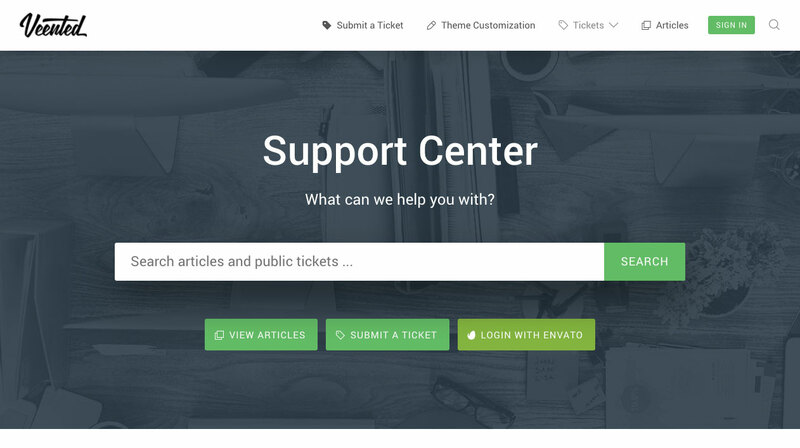 Our Support Center consists of an extensive Knowledge Base aswell as a public/private ticket system that allows you to contact our support staff directly. In addition, each theme receives constant updates to provide the best quality possible. 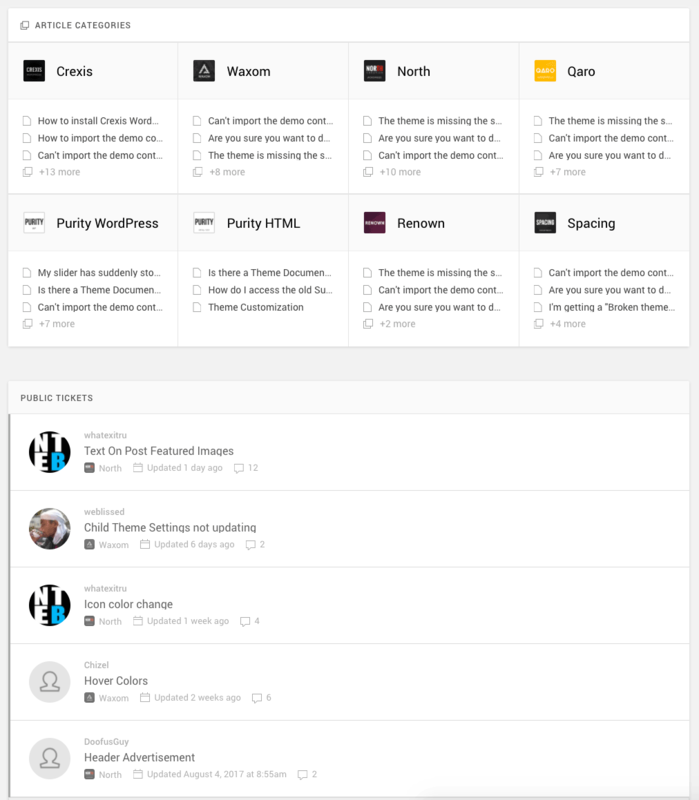 We release updates with both bug fixes and new features suggested by our clients.